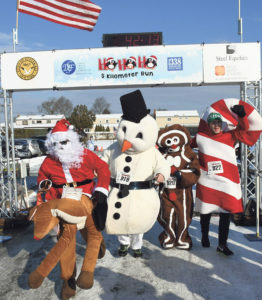 Runners in holiday costumes added to the fun. 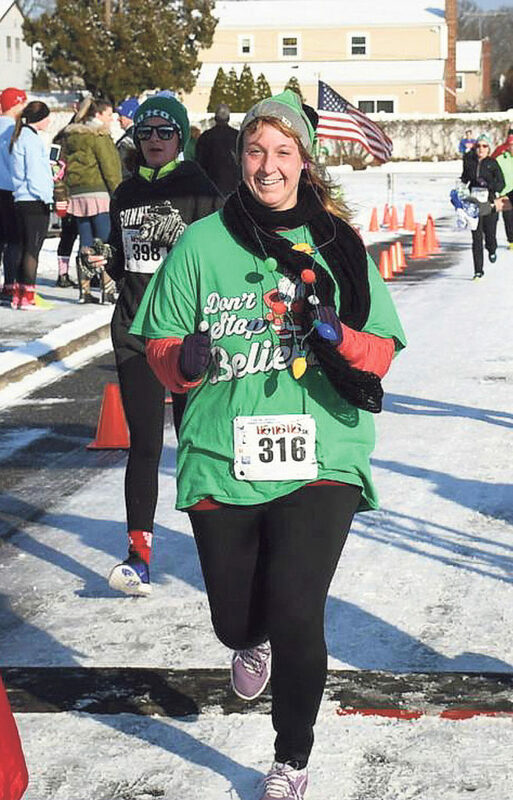 Congratulations to Westbury athletes Kimberly Greenwald, Yulian (Katty) Zha and Jenney Tesoriero, each of whom won an award at the Carter, DeLuca, Farrell & Schmidt Ho Ho Ho 5 Kilometer Run, held on the streets of Bethpage on Saturday, Dec. 16. Zha crossed the finish line at the John F. Kennedy Middle School with a time of 22 minutes, 22 seconds, to take first place honors in the women’s 45-49 age group. 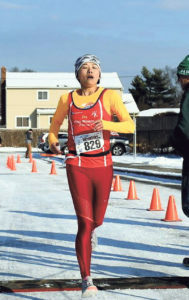 Tesoriero scored second in that same age group with a time of 26 minutes, 6 seconds. 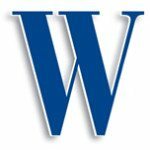 Kimberly Greenwald earned third place honors in the Athena 160 plus Weight Division, with a finishing time of 30 minutes, 10 seconds. Jenny Tesoriero receives her award from Race Director Ric DiVeglio. 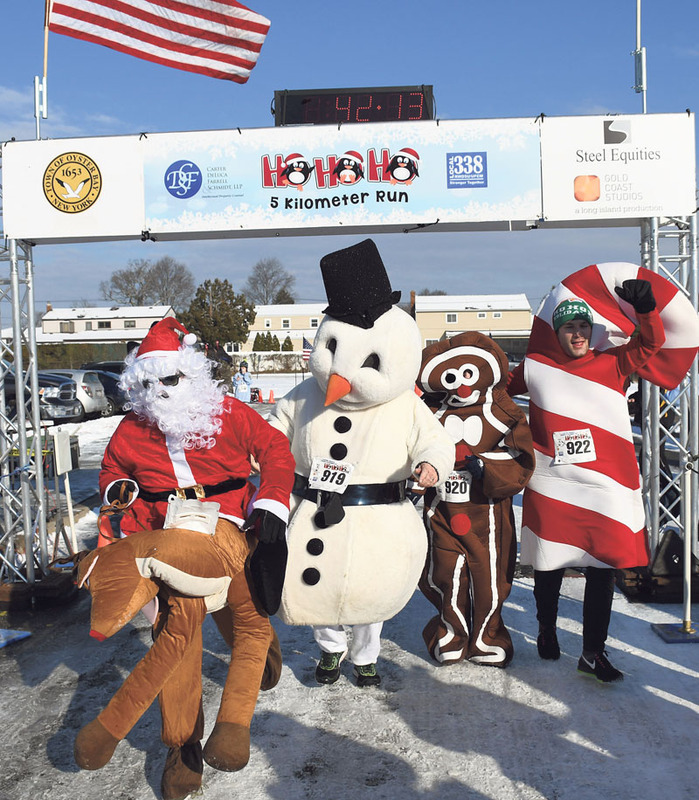 Although the conditions were very much less than perfect, nearly 800 runners and walkers covered the 3.107 miles through the streets of Bethpage, including lots of Santas, snowmen, elves and other denizens of the holiday season. The host Greater Long Island Running Club was thrilled to have the running community’s own Nassau County Legislator Rose Marie Walker on hand to help get things started. 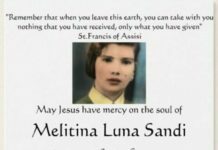 The charitable beneficiary of the Run was once again the Dominican Sisters, in support of The Opening Word, an education program that enables poor and uneducated Long Island immigrant women the English language and other tools they need to become productive members of American society. 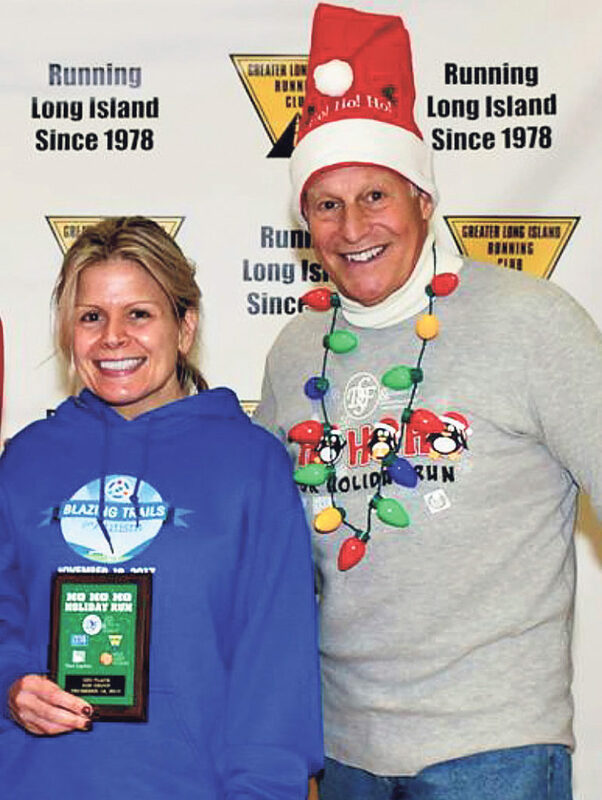 In addition, thanks to the generosity of race participants, the Greater Long Island Running Club was able to turn over hundreds of toys to the John Theissen Foundation for distribution to needy Long Island children.